Orange is joyful and creative and funny and gorgeous and singing and bouncy and nutritious and heart-warming and hugging and entertaining. It is filled to the brim with childlike glee and sings to us of hearth and home. The earliest uses of orange originate from the dye of the saffron plant. From Pre-historic times onwards saffron has been widely used in creating anything from medicines to make-up, from religious offerings to flavourings and colourings. 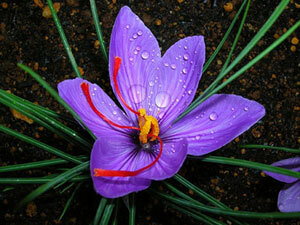 It is made from the dried stigmas of the saffron crocus, the crocus flower itself being mauve. The harvesting of the stigma is labour intensive, resulting in saffron being the world’s most expensive spice, even today, and worth more than its weight in gold. 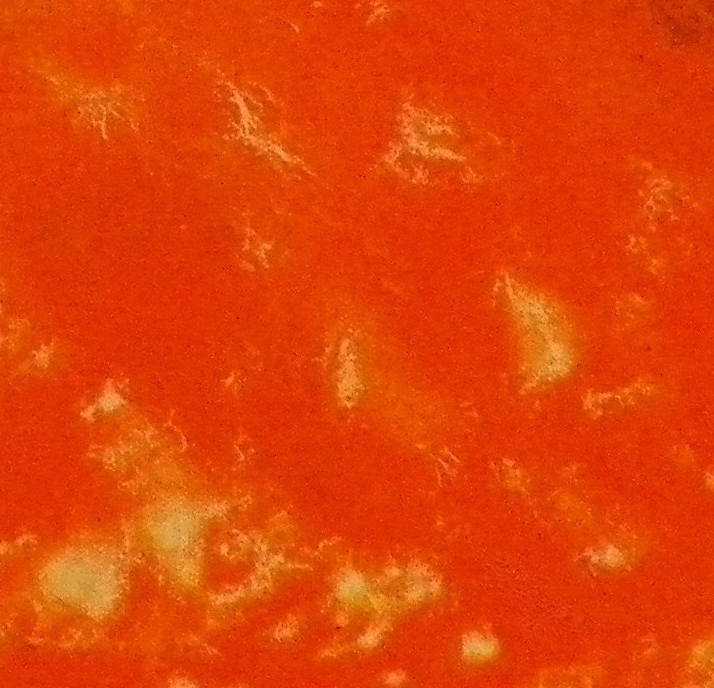 The beautiful brightness of the orange led to saffron being used as a cloth dye, but it is unreliable and the bright orange soon fades to a pale yellow. The saffron colour is of unique significance to Buddhists, Hindus, Sikhs and followers of Jainism, symbolising the sacred radiance of God and the purity of spiritual fire. Buddhist monks wear saffron robes and Hindu gods are decorated with saffron paste. 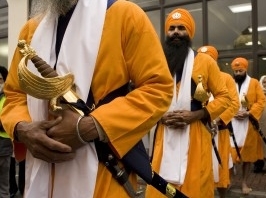 Orange is the background colour for the standard of Sikhism, and can be seen flying from Sikh temples and adorning Sikh robes. In contrast, saffron or orange rarely occur in Judaeo-Christian symbolism. Following the collapse of the Roman Empire, saffron ceased to be used in Europe, and orange ceased to be a colour in its own right. Orange became lost in yellow and red terminology and was considered a colour fit only for the lower levels in society, with red and gold reserved for the higher strata. It was with the introduction of the fruit to Europe in the 10C, that orange took its rightful place in European colour terminology. Today we have well and truly reclaimed orange. It is no longer a colour lost between red and yellow. It is used to advertise a phone network, a budget supermarket line, hi-vis uniforms and even a peaceful uprising. Today orange is used by restaurants to replicate a feeling of well-being, of ‘hearth and home’- right back to our pre-historic fire roots, of candlelight, of delicious, nutritious foods and drinks, of foundations, of bricks and tiles, of warmth and security. Orange isn’t Red and it isn’t Yellow – it is that wonderful warming mixture of the two. Welcome! Come in and Buon Appetito! I always liked orange as a colour but never wore it. Since I’ve been making mandarine marmalade (I make about five batches on successive weeks as I grow my mandarins) I’ve changed my mind. I now own two pairs of burnt orange sandals and an orange tote bag. Love it! That’s all thoroughly delicious! I associate orange with the number 10 because I was taught to count using colour factor (I think it was called that) back in the day. Weird but I love the colour and the number! Those paintings are gorgeous. Orange is so your colour! Sounds gorgeous! Growing mandarins – how wonderful, and mandarin marmalade – I bet it’s delicious. Yes, I think we all need a bit of orange in our lives – it is so full of good things! COUNTING USING COLOUR FACTOR!!! My brain is in overdrive. I have never heard of it – I must look into it straight away! 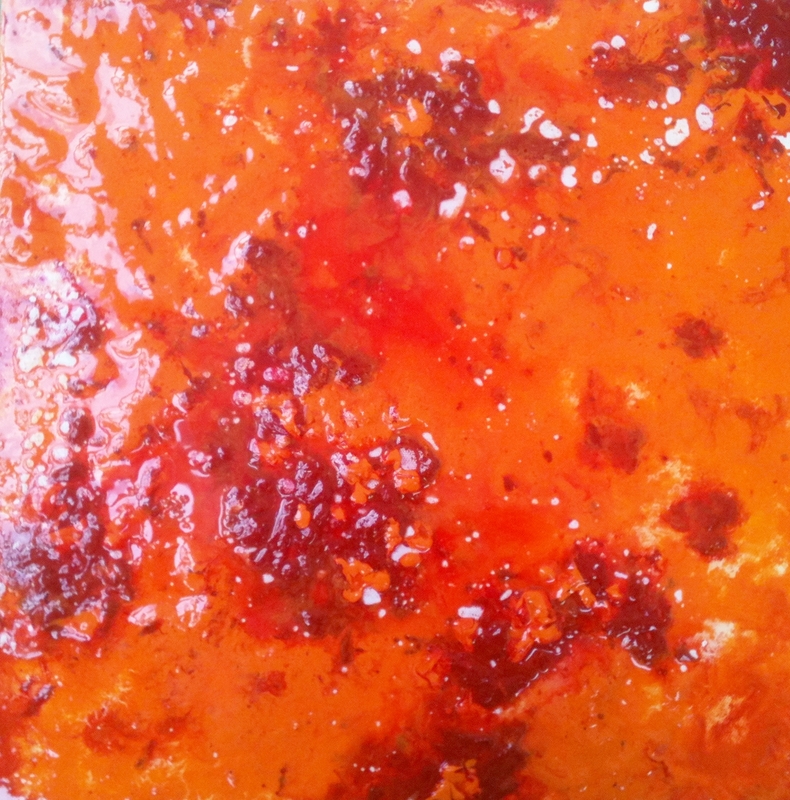 And thank you for the kind comments re the paintings – Orange is just such a wonderful colour to work with.